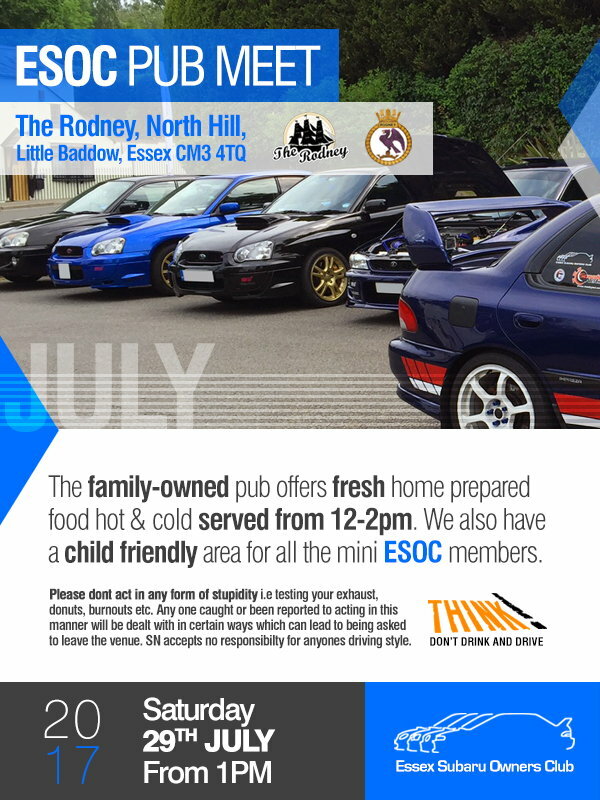 The family owned pub offers fresh home prepared food hot & cold (food is served from 12 - 2pm) as well as a nice children friendly area for all the mini ESOC members. Now the boring part. Please don't act in any form of stupidity i.e testing your exhaust loudness, donuts, burnouts etc. Anyone caught or been reported to acting in this manner will be dealt with in certain ways which can lead to being asked to leave the venue. SN accepts no responsibility for anyone's driving style. So...there's quite obviously a lack of interest of late, for many reasons this is possibly to be expected, as such, if there isn't substantial interest in this particular meet we will need to reconsider how we move forward. Anyone with any suggestions or ideas is more than welcome to put them forward but we have to do something to either end our regular planned meets or reinvigorate what we do. John, as excited as you may be to head to the Rodney on Sunday I'd save your fuel and go for a nice spirited drive instead. We're going to put a halt on the remaining meets due to lack of interest. After having a chat, myself and the Frizzle-bomb don't have the time nowadays to dedicate the same enthusiasm as is required to maintain the regular meetings. I won't be there on Sunday due to a last minute holiday booking, and I'm uncertain as to whether anyone else will be. That's such a shame - going to the Rodney WAS the spirited drive! Do hope it's not the death knell for the ESOC. This is a shame as I've just got my first Subaru and had hoped to get to some events.